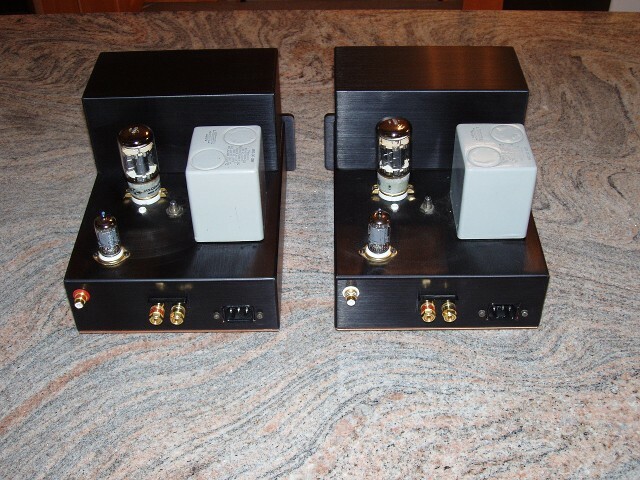 Please Review All Directories And Sub-Directories, I Have Affordable Introductory Amplifier Options For Systems. For many years I have done extensive research on the design and construction of push-pull power amplifiers. I have now applied that knowledge to the design of a single-ended amplifier product. 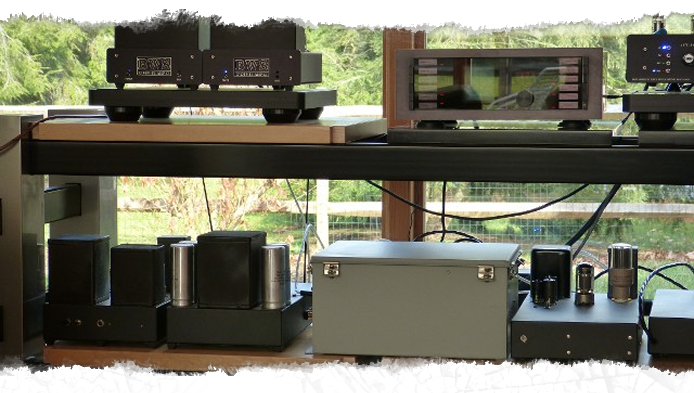 My design criteria was to produce an amplifier with very low harmonic distortion, and with a very low noise floor. This required implementing a design with a relatively low power output of less than 20 watts. Lower wattage power amplifiers can be designed with quieter power supplies that introduce less noise into the signal, and they utilize smaller output transformers which, due to smaller wire size and smaller gap size, have a more linear transfer function. The BWS SE-6384 amplifier is designed for today's dynamic digital source components. This amplifier has audiophile qualities such as: inter-transient silence, transparency, tonal accuracy, pitch delineation, and effortlessness. The final product is a signal ended amplifier that utilizes two tubes and produces approximately 8 watts with the Bendix 6384 output tube, or approximately 13 watts with the Tung-Sol 6528A output tube. The BWS SE-6384 is designed as follows: The front end incorporates a selected Telefunken 12AX7 as a voltage amplifier, which is followed by a Bendix 6384 or a Tung-sol 6528A, power output tube. The amplifier is built on a high quality aluminum and copper chassis, with hand selected military grade parts, arranged and wired in a point to point layout. The RCA input and output speaker connectors, which are made by Sound Connections, are cryogenically treated high purity copper that is directly gold plated. The power transformer is a 24 hour duty mil/industrial EI core unit. It feeds a high speed solid state rectifier section, a mil grade filter choke, and a high speed capacitor section. The output transformer is the Magnequest, DS-025, with M4 laminates. 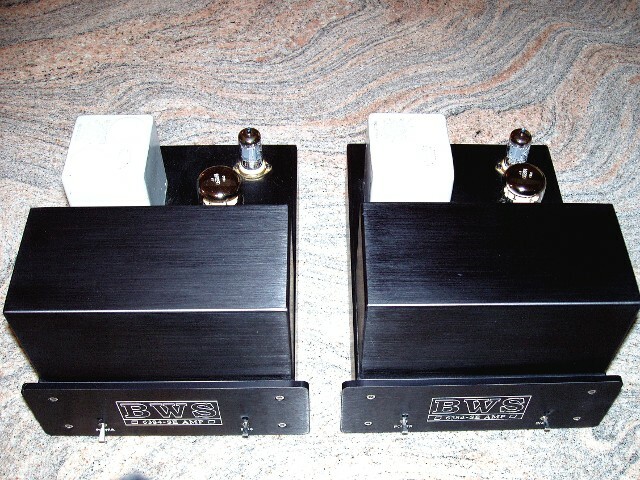 The amplifiers weigh 24 pounds each and are 8+5/8" wide by 11" deep by 7" high.